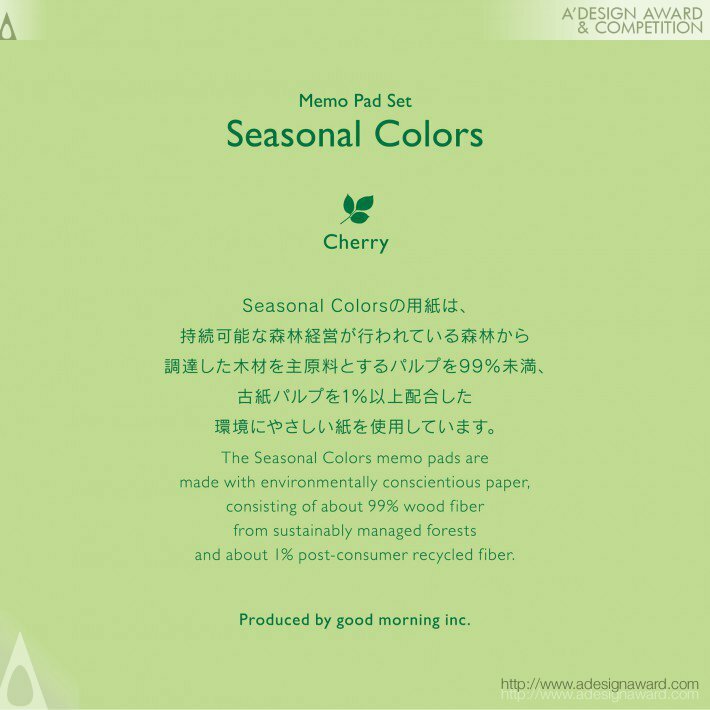 The Seasonal Colors is a set of memo pads in four colors inspired by cherry, olive, ginkgo, and maple leaves. 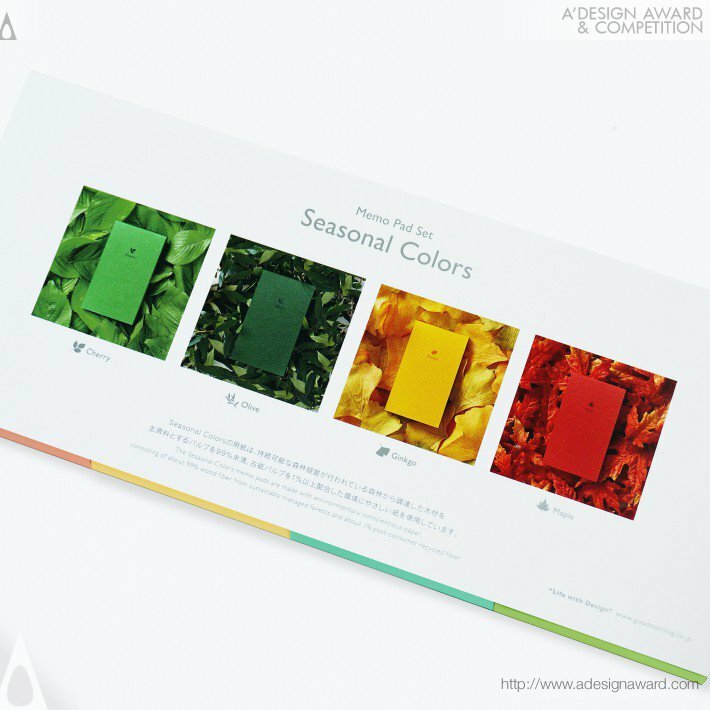 Both the cover and the note paper are colored. 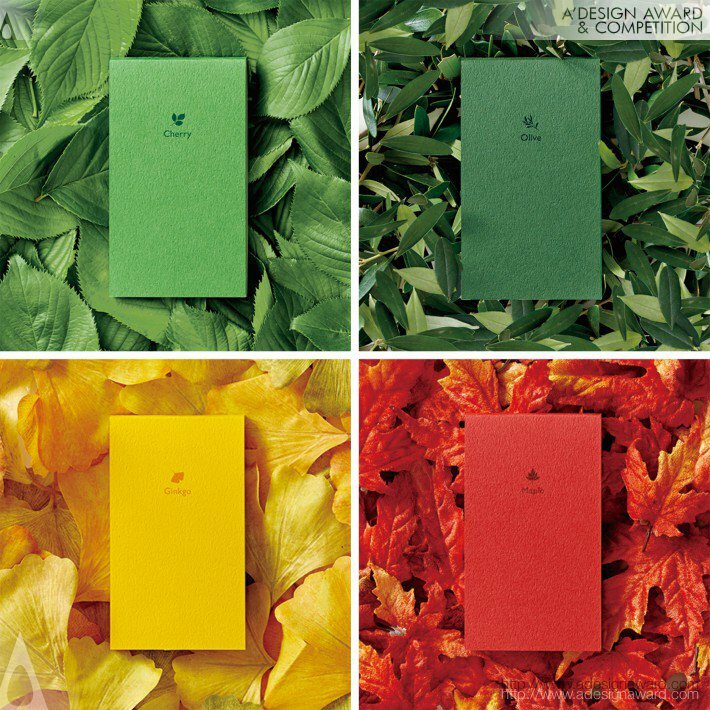 Leaf silhouettes on the cover and packaging add an elegant design accent. Stationer y that brings a touch of seasonal flair to your routine. Quality designs have the power to modify space and transform the minds of its users. They offer comfort of seeing, holding and using. They are imbued with lightness and an element of surprise, enriching space. Our original products are designed using the concept of Life with Design. 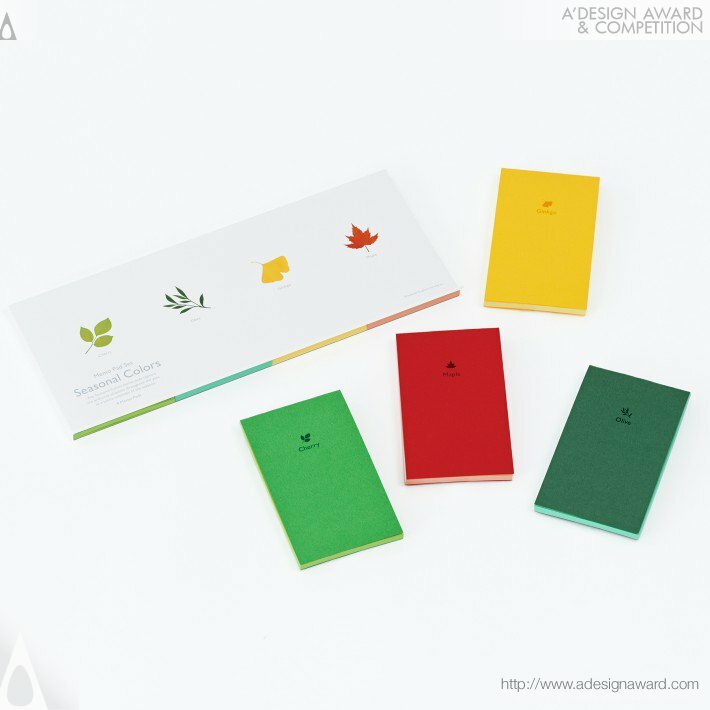 If you wish to have a very good memo pad set design, please contact our secretariat and indicate that you wish to work with KT/18455582 for your memo pad set project. We will process your request immediately and forward your requirements to KT/18455582. 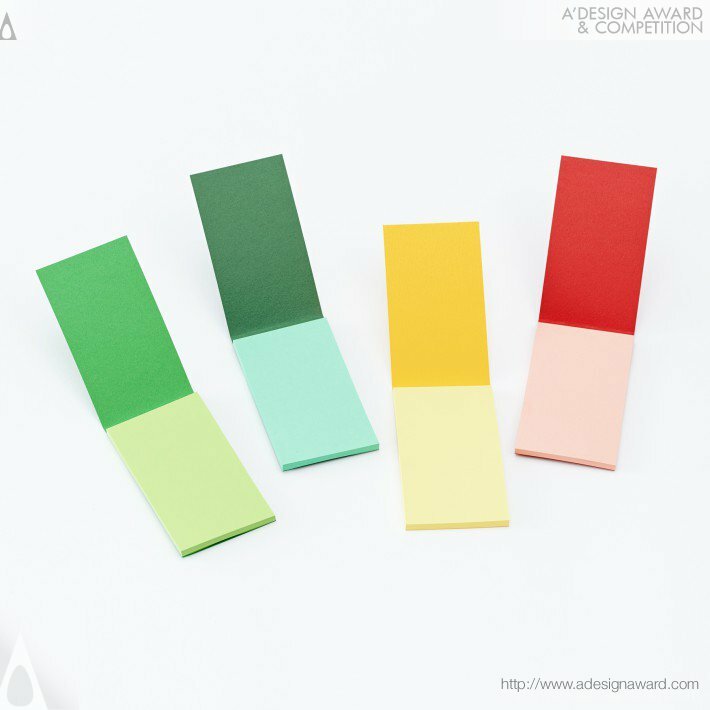 Request Consultancy for memo pad set design by KT/18455582.